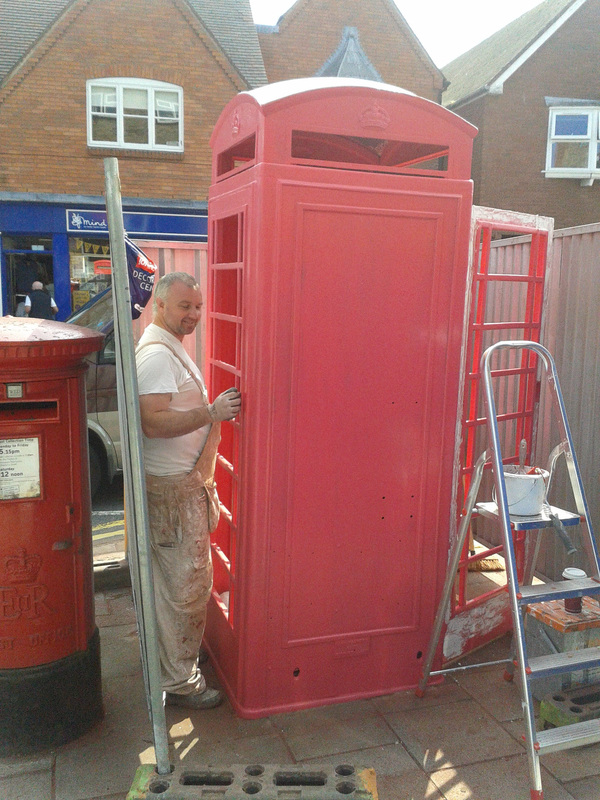 As a consequence of the major reduction in the use of BT telephone boxes, the box on the High Street was due to be removed. As it was part of the character of the High Street, the Society thought that it would be a good idea if it could be preserved. We have therefore ‘adopted’ it. One of the conditions is that it should be refurbished to BT standards. This has proved to be a major job, but it is nearly completed. The box will then become an information point for the village. I am very pleased to be able to report that, 4 years after we made applications for Village Greens status for three areas of land (and several years before in preparation) two areas below have now been Registered as Village Greens and preserved as open spaces. It only remains for us to enjoy them for ever. My deepest thanks to all those who assisted in whatever way to make this possible. Welcome to the new look website. On the 1st June 2017, we launched a revised website with a fresh and modern look. The site is designed to display on mobile devices as well, adapting to the smaller screen size. Stories can be searched for by both date and category and the past editions of all our newsletters can be read. Knowle Society is celebrating a major success in the preservation of TWO green open spaces through their registration as village greens. The two areas border Knowle Park, thereby extending the area of the park for use by local people. Unfortunately, we were not successful in regard to one other area, so this has been lost as a green space open to the public. More news and maps of the areas will posted in the week beginning 10th October. Almost exactly three years after we made our applications to register three areas of green space as Village Greens, next week we’ll get to the next critical stage. At a Public Hearing an Inspector, engaged by the Council, will hear our evidence that Area A, off the Wychwood roundabout, should be registered. The objectors will have a chance to make their case that it should not! A selected group of our supporters will appear in person to give their evidence and your attendance in the public gallery will give them great support. Please come along and support them, even for a short while. The Hearing will take place at the Solihull Moors Football Club, near the rear entrance to the ‘Rover’ works, postcode B92 9EJ. The sessions will be on Monday 1st Feb and Tuesday 2nd Feb from 10:00 to 17:30 with an evening session up to 20:00. There will probably be a session on Thursday 4th as well, but most of this will be taken up by legal arguments. You will be able to come and go, you don’t need to stay for an extended period. There is ample parking on site. Our Applications for Registration of Areas C & D – next to the Park, will not be heard in person. As the Council has withdrawn its objections to these areas, the Inspector will deal with them as a paper exercise. We will probably not know the outcome of our Applications for some time, as the Inspector will need to submit his conclusion in writing via the Council. It’s not going to be easy, so keep your fingers crossed and support our campaign.